Make filling. In a food processor, pulse the broccoli florets and cheddar cheese until finely chopped. Add the mayo, salt and pepper and pulse a few times more to incorporate. Stuff chicken. Cut each chicken breast open like a book, but not all the way through. Season the chicken breasts with salt and pepper. 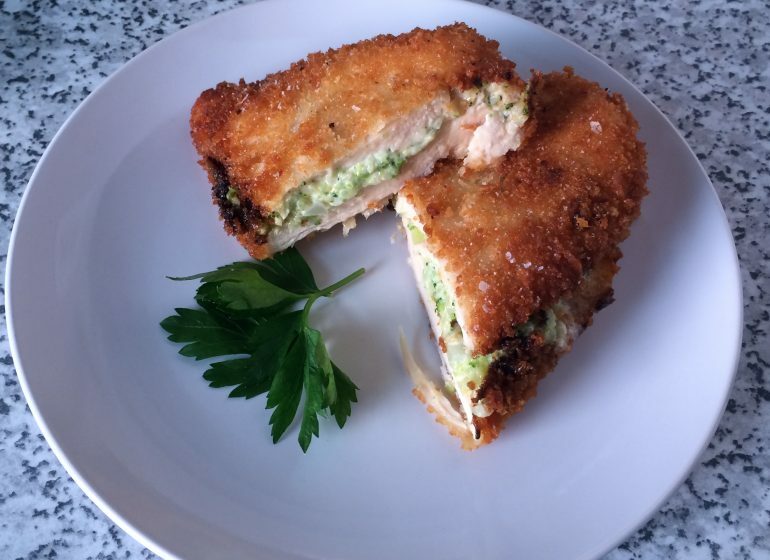 Spread a ¼ of the broccoli-cheese mixture on the inside of each chicken breast and close them back up. 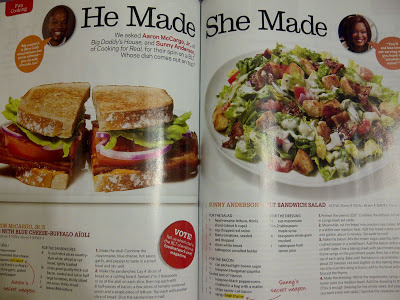 Bake the chicken. Heat oven to 350° F. In a large bowl, whisk the eggs with a salt and a few grinds of pepper. Dust the chicken in the flour and shake off excess. Dip each piece in the egg, then into the panko breadcrumbs, shaking off any excess. Set on a wire rack over a sheet tray. Spray the chicken breasts with some cooking spray and place them into the oven. Bake for 25-30 minutes or until chicken is crispy and brown. 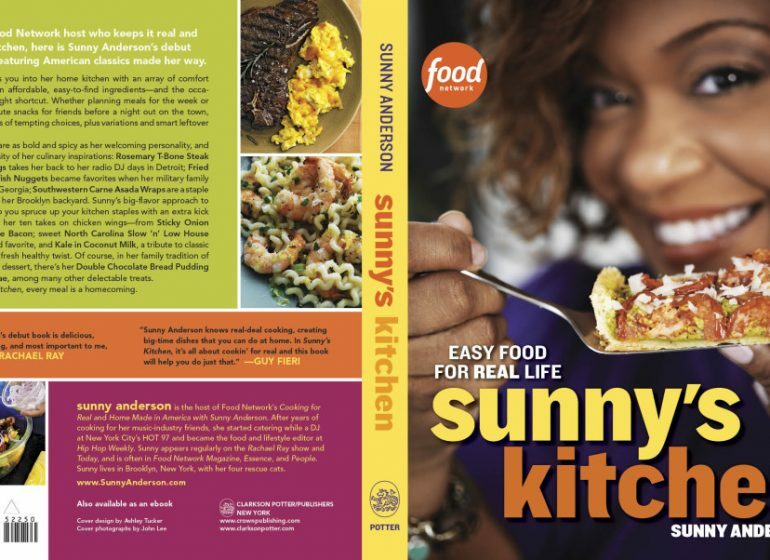 Have a look inside “Sunny’s Kitchen: Easy Food For Real Life”…out now! 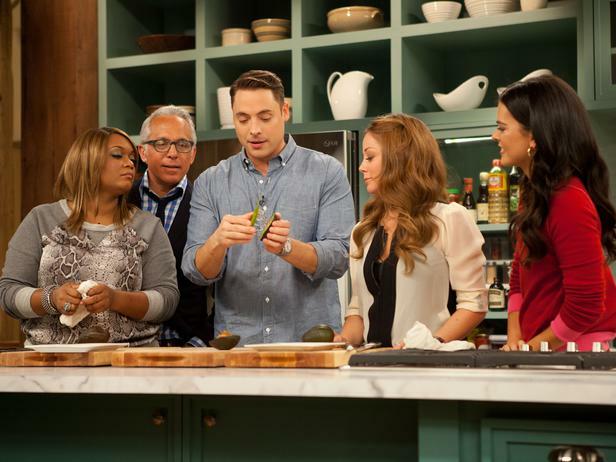 Tune In To “The Kitchen”, airing Saturday at 11am on Food Network!